MANILA, Philippines – As the Commission on Elections (Comelec) finalizes the canvassing of the 2013 party-list election results, it is faced with a dilemma: What happens to an organization it recently disqualified but garnered enough votes to win? The Coalition of Association of Senior Citizens in the Philippines (Senior Citizens) party list – No. 129 on the ballot – has so far received 671,916 votes, according to the latest party-list national canvass report released Monday, May 20. It ranked 10th over all. 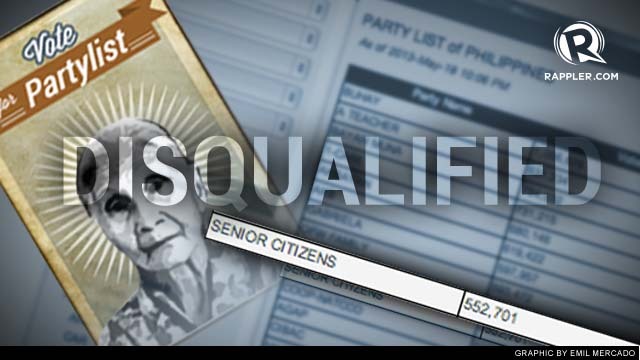 However, Senior Citizens is among the 12 party-list groups disqualified by Comelec on May 6, 2013, a month after the Supreme Court (SC) issued a six-point guideline redefining party-list eligibility. It was earlier disqualified by the poll body in November 2012 for illegal term-sharing in the House of Representatives. But the following month, the group secured a status quo ante order (SQAO) from the SC, allowing it to remain on the official ballot. The nominees of Senior Citizens for the 2013 elections are Francisco G. Datol Jr, Amelia J. Olegario, and Efren T. Santos. Poll chief Sixto Brillantes Jr said the previously disqualified groups, including Senior Citizens, can appeal their case before the Supreme Court (SC). He said the Comelec is waiting for the 12 groups to file their appeals. Brillantes said the Comelec will “just wait” until Wednesday, May 22. In the 2010 national elections, Senior Citizens placed second over-all, behind Ako Bicol. It received 1,296,520 votes, or 4.42% of total party-list votes, to garner two seats in the lower house. The two seats went to its first two nominees, Godofredo V. Arquiza and David L. Kho. 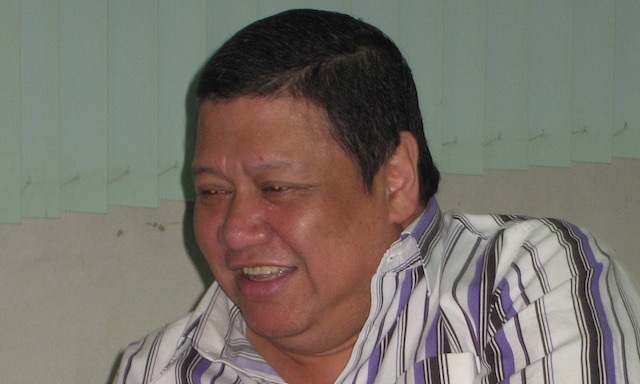 In 2011, Kho was the sixth richest party-list representative, with a net worth of P59,521,695.31 in 2010. 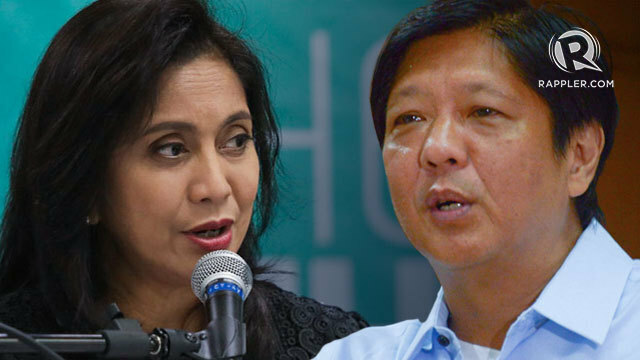 He resigned in December 2011 to allegedly swap with the party list's fourth nominee, Remedios Arquiza. Arquiza is on his second term as representative of the party-list group.